Work for Sophos Intercept X: Next-Gen Endpoint? Learning about Sophos Intercept X: Next-Gen Endpoint? "Sophos Central with Intercept X - the total solution for any business"
The main feature of Sophos Intercept X is that it is a next-generation enpoint security product that stops zero-day malware, stealthy attacks and unknown exploit variants, and includes advanced anti-ansomware functionality that detects previous unknown attacks in seconds. Sophos Intercept X is installed alongside existing endpoint security software from any vendor and does not cause conflicts between them. The solution is very complete and innovative and has a bright future as it is currently one of the market leaders in its area. The solution in general I love, is very friendly and is not very difficult to configure or implement besides that they are very accessible on their technical support platforms and doubt forums also have their forums for future ideas to add complements to the solution.They have their customer portal and certifications to personally prepare their products to have an easy administration and greater knowledge of each of their tools in the market and I think that in the future will improve by much and there will be no one who can compete. They have their customer portal and certifications to personally prepare their products to have an easy administration and greater knowledge of each of their tools in the market and I think that in the future will improve by much and there will be no one who can compete. Sometimes there are problems with uninstallation or installations. Principalmente es remover malware y bloquear aplicaciones en general por ejemplo proxys. What Endpoint Management solution do you use? "Sophos' answer to Next Gen"
I like how easy it is to configure and manage, as well as how well it works. I have had extremely good luck with it, and i have used it since it was in beta form. I have looked at other offerings, but keep sticking with Sophos, which must mean something. The support for it can be hit and miss. There are a few quirks with it. One being that for close to the last 2 years it has broken many backup vendors software due to a VSS issue. This was only recently fixed; about 2 months ago. We have issues with a few of our users and Office 365...It does not allow any of the Office Suite of apps to open unless you disable specific services. Test it out for 30 days and see what you think. It is working very well for us. Zero Day exploits, machine learning, etc. This portion of the Sophos Endpoint/Server protection has really brought Sophos up to the next level of threat protection. Intercept X also utilizes what is called "Threat Cases" which allow you to review potential threats and dissect what exactly they did. "Sophos Intercept X provides complete security to your network"
I like that all of the Sophos platforms can be administered from one central location, Homepage has a unique dashboard and offers all sorts of content filtering from gambling to those NSFW pages, it also blocks Malware instantaneously, Sophos' firewall application is an decent alternative solution to host-based firewalls. Installation of clients, is very simple and the software is generally capable of detecting malware. This software provides better protection for us and our clients than the previous software we were using. It blocks more attacks and gives us peace of mind. So far I have not run into anything that I dislike, product works very well. I totally recommend it, as this piece of kit can be installed quickly and you can manager form a central Sophos platform all your pc in your network, it is an excellent security software and has exceeded all our expectation. "Sophos Central Makes Your Life...Harder (insert sad face)"
The best thing about the product is the interface. It seems to be clear and navigable, and puts all the features within reach via your home dashboard. Sure, you have to do a little bit of clicking around to get to some features, but it's quite clean. The support services, when I have been tasked to contact them, have been well intentioned, and they seem to have world-wide coverage. Pretty much everything about uninstalling the existing EndPoint client and installing the new Sophos Central client. Even with an automated install, allow for at least 30 minutes per machine (and that's if everything goes right). Often it doesn't go right, and for Macs? It's really a crap shoot whether you can get it on at all. And then to have it keep working? Most of the time Windows installs are OK. Macs? Eh, who knows? Again, not a lot of confidence in the product. Find an existing user of the same size and get real life feedback. The product itself is difficult to install in a multi-platform environment, making it so that your work life just became that much harder, because before you pretty much had a set-it-and-forget-it management tool, where you could focus on remediation if necessary. Now, your focusing on just keeping the product running, if you are able to get it on at all. "Sophos Central-A masterpiece of Anti-Virus software." Sophos Home has a unique dashboard and offers all sorts of content filtering from gambling to those NSFW pages, it also blocks Malware instantaneously, really amazing software. I cannot find a dislike with this software besides maybe sometime a ''false flag'' and it's not actually Malware but resembles it is sometimes picked up but rarely. It's ease of use and monitoring of absolutely everything is second to none, and Malware detection rate is in the top 5 out there maybe even the best, I use it and I'm a Computer Technician, so I know what I'm using and it's amazing for me! For the past five months I have offered my customers advice to use Sophos above all else it's my new go to and theirs in turn. I see Sophos Central being the go to for all your security needs, it already has such a following and it's so cheap less than a Sky bill for a years protection is pretty awesome! I install Sophos onto all client laptops upon consent of course and have shown them how to use it, they all love it! What I like most about Sophos Intercept X is that it has a very clean and easy-to-use user interface. Among its various functions, it offers all kinds of analysis of programs and web pages in real time to eliminate any malicious software that may affect the system. Although their customer service team is not really bad, the response time they usually give is very long and on the two occasions we have contacted them, they have given us an ineffective response. We use Sophos Intercept X within our company because it has provided us with security and constant monitoring against any threat that may affect our system. "Has all but elminated ransomware threats"
Intercept X is a great add on to an already robust Endpoint protection suite. When properly updated we have seen it identify and remediate ransomware quickly and effectively. It is a recommended product for all of our clients and most of them have taken that recommendation. Not much about Intercept X in particular, sometimes management of the endpoint software can get wonky with tamper protection and if services are not functioning properly a support call may be required. Sophos users a per user model, rather than a per device model, this must be taken into consideration before deployment. Ransomware, before Intercept X it was running rampant in customer environments, while we had solid DR plans, the inconvenience and time to recovery became a customer pain point. I like that we have our Central Sophos platform on the web so we can manage all our PC in the network. The customer service can be improved, but still is ok. It is protecting if you want to go to a website full with fishing or restricted access. Easy to setup in a way. I dislike also the customer serivice, sometimes they can be excellent, sometimes we need to chase them for over one month. We are a translation company and all our microsites were blocked because they thought we are in the proxy category. Need to repeat myself over and over to more than 5 operators to be understood. So luck of communication from their end. But not a big problem if you are busy in your job, bust still is still a must to have a customer care. yes recommend, as this piece of kit can be installed quickly and you can manager form a central sophos platform all your pc in your network. We protect our network from spam and fishing or site that are not allowed to be restricted, We must have a good antivirus as we have a lot of clients with they personal info. "A good AV and removable media control software"
As a financial institution we need to have robust security. Sophos is a key element in fulfilling that need. We need to protect against traditional viruses and Sophos does that quite well. It also searches out potentially unwanted programs and malware as well. We also need to protect against rouge removable media, whether it be to prevent sensitive data loss or preventing unknown flash drives from being introduced to our network. Sophos Endpoint Protections removes this threat completely. Some of the alerts it sends out about things not functioning or installing properly are labeled as "informational" only so it can cause some machines to be under-protected. The list of exceptions for removable media control also doesn't give you the ability to notate what the exception is for so if you're reviewing old exceptions for removal it's hard to tell why it was originally added unless you notate it in a different document. If you a have regulatory need for removable media control Sophos provides a good solution for this need. Sophos Endpoint Protection provides our company AV and removable media control. This allows us to beef up our layers of security and prevent attacks. It also helps us comply with our regulatory requirements. The console (Cloud management tool) is what provides an easy to use and capture problem areas quickly. Sophos also reports via email to our Help Desk issues that we can jump on immediately and this gives the IT Department a proactive image as it should be. Drilling down to issues or corrections is a little inconsistent. I think the user interface needs improvement so that no matter where you are in the console that you don't get lost. This is the single improvement that I suggest they make to show that their protection is excellent but also that their interface is taken seriously. Endpoint protection with the cloud console is akin to having another IT person. The Sophos process streamlines and delivers a good management tool. Endpoint protection isn't just running another service it's about the ability to scan and apply controls where needed to keep end users and corporate data protected. "InterceptX saved several clients from Ransomware." Transparent scanning of incoming data/traffic - it's using AI to scan for malware now and has found a lot of malware that wouldn't necessarily be caught by traditional AV scans. This is a strong recommendation from us on this product. It has saved money in data recovery costs. The per user license fee isn't awful and it can run alongside any AV product. The cloud reporting tool is fantastic and the remediation tools are also good (and mostly automatic). Incorporating this product with Sophos Cloud Endpoint and the Sophos UTM (XG) appliances and enabling heartbeat protects the network even further. We are protecting ourselves and our users from 0-day ransomware and other emerging threats. The license cost for this has saved a ton of money of downtime for data recovery from backups after an infection. "Sophos Central is an efficient and robust platform." I like that all of the Sophos platforms can be administered from one central location. It minimizes the number of systems that you have to use, and the number of passwords/portals to navigate through. The platform also has a very modern user interface, which helps sell the product to other decision makers in the company. So far, the only thing that I have found that I dislike is the layout of some of the policy pages. It can be a little difficult to adjust the policy deployment to your devices. It takes a little getting used to before you know right where to look and adjust things. Make sure you look at your users vs machine deployment, and try to take full advantage of the Sophos licensing scheme. We are solving the need for a streamlined, cost effective, and simple to use antivirus platform. We needed to be able to handle events quickly and have information readily available in a modern platform. "Best in End Point Security and Better cloud management than most others"
Ease of endpoint management using the cloud management. Better performance on desktops even when scans are running. Very effective and easy to manage false positives and add rules etc. Ability to securely bypass anti-virus and enable when administrative/technical work is completed. The software also provides with tamper protection with unique passwords to disable them. If you get their Intercept X solution (addon). This endpoint tracks and monitors malicious traffic and any exploits. A bit pricey compared to several other similar endpoints. 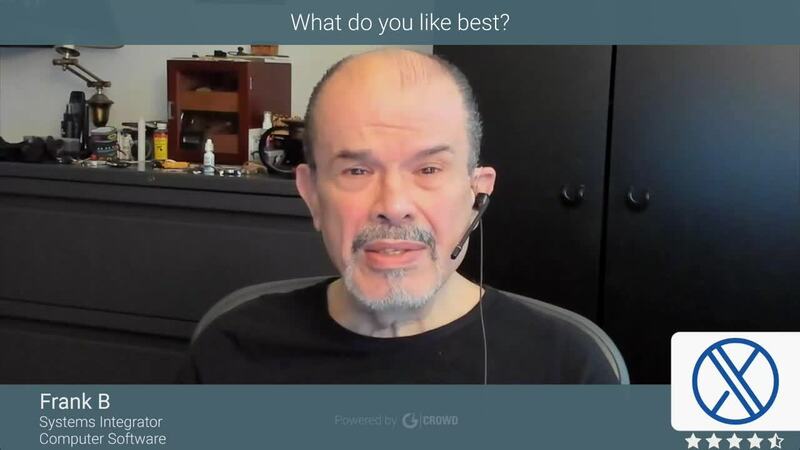 Their solution is modular, while it is great for small business to pick and choose. But for mid-size companies, you want a product that is all-inclusive, one price. Consider price, all the different add-ons which are very useful and beneficial. Definitely, do a 30-day trial before you implement. Use a vendor such as PCmall or CDW as you will receive better support during purchase and implementation. Protection of users desktops. A traditional way of protection + with latest OS and application restrictions, bundled with peripheral controls, this endpoint stands out. Sophos provides various logs for user's web history and using their cloud management tool, it takes less effort to reach to conclusions on an investigation and identify the threats or close investigations. With their intercept x solution, (addon), the endpoint provides optimal protection against ransomware and cryptowares. "Simple and effective Endpoint protection"
We have recently migrated away from the traditional Enterprise Console on-site and are now using Sophos Central to manage endpoints. The process to migrate was simple and I find Sophos Central much easier to navigate and get to the important necessary information. We implemented new XG firewalls alongside moving to Sophos Central and found that we needed to use a small utility additional to the firewall for syncing AD users. It wasn't hard to set up though. Not much. I do find on the odd occasion that I get an email about an endpoint heartbeat problem that is actually related to the machine just having been turned off, but its a rarity. Trial the Sophos Central version rather than on-premise. We used the EAC version for a number of years and it served us well but the new SaaS implementation I think is easier to use. Obviously not everyone will want / can have a hosted solution so I can confirm that the on-premise solution is still very good. We also purchased Sophos Firewalls that have a heartbeat connection with Sophos Central. This functionality seems to work pretty seamlessly although I have yet to see any real benefit from it as such. We were already a Sophos Endpoint customer but the move to Sophos Central has made life easier in terms of administration. Also, syncing mobile users with the cloud solution feels a better option in terms of setup. "Decent antivirus, but not that easy to manage"
The software is quite stable and does a fairly good job at picking up viruses. There is a good cross-platform feature set between Mac and Windows endpoints and servers. Sophos is developing a cloud-managed version. The deployment, uninstallation and management are not as easy to use as some competing products. We are still running the on-premise Windows management console and find it to be somewhat awkward. We frequently get false positives from Sophos on Windows Update database files and it doesn't consistently honour scan exclusions. 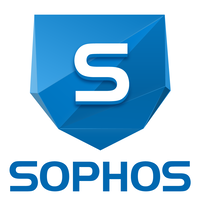 We have been using Sophos as our main EndPoint and Server virus protection. It has worked, but we are switching to an alternate vendor since we don't feel we have good oversight of the virus protection. "Not a bad antivirus, but it have some flaws and Sophos service is poor"
This is an effective antivirus so far, in our medium size business we never get infected by any viruses so far and we haven't face any false-positive report from our Sophos Endpoint Security. The Sophos client interface is very clean and very intuitive, but in the other hand, it's extremely basic. Well, several things... first of all, the Sophos Endroit Security (we use Standard Edition with Cloud Central) turns to be pretty heavy on the system, we saw some overall speed loss on the computer while going from built-in Windows Defender AV to Sophos. Other thing we dislike is that if something go wrong between Sophos Endpoint Security client and the Cloud management console, you are kind done because Sophos is like a virus itself and can't be manually removed from the computer or at least in a realistic time frame (in a business environment we don't have 5 hours to loose for uninstalling an AV). Other thing is that the Sophos Cloud console send A LOT of low-security email alerts for nothing and you CAN'T turn them off. For example... 10-12 times PER DAY, I receive "this computer is out of date" just because the heartbeat failed for half of a second on the computer and trigger alert at Sophos, which is apparently normal according to Sophos customer support. All considered, Sophos is not a bad security software, but maybe you can check carefully with competitors to compare before taking a decision. Well, we looked for a Cloud manageable client security software with a centralized alerts and management, to upgrade from built-in AV software in Windows 10 Pro PCs (Windows Defender) which is a great AV for sure, but lack of management tool for a business. "One of the best (if not the best) enterprise antivirus solutions, with a few flaws!" Ease of use, and ease of deployment. We're a business with about 10,000 machines and workstations and deployments were a piece of cake with the provided tutorials. Updates were also consistent and regular. When compared to rival security suites, the rate of threat detection wasn't spectacular but very much acceptable for the price we paid for. For better security, I'd personally advise to pair Sophos with an intrusion detection software for maximum security. For usability, there isn't much complicated stuff. If you're a familiar antivirus user, you'll be at home. Signature updates. Although Sophos is perfectly adequate for everyday uses, its enterprise security leaves a lot to be desired. Signature updates for known threats could come sooner than the standard window. We use multiple security suites for different needs, and I personally see Sophos pushing the signature updates at the last. If price is you concern, Sophos would be your best bet. But still, there are lots of other quality security suites if you can pay a premium. Look for the ones that utilize machine learning. Threat remediation. The common clicking of unwanted emails and downloading suspicious attachments - Sophos takes good care of that. It is easy to use and non-IT staff have a good understanding of navigating around the software and performing routine scans. Protection from a massive and very costly problem that could occur to any company at any time!!! I like that they have two options: on-prem or in the cloud and they operate the same way. We are currently on-prem, but this will make it easier on our support staff when we decide to migrate to the cloud. The end point control management portal is easy to navigate and setup. The inability to push the client to a Mac is frustrating. Also the on demand scanning is resource intensive especially on a mac and we find the end users killing the scan sometimes. We also don't do on demand scanning on servers because of that reason. We also use their physical appliances (which are available in the cloud as virtual appliances) for SPAM control. That portal is also very easy to use and will get integrated with the online portal soon. We new we would get superior antivirus support, but the ability to control what applications could be used in our environment was a bonus. Our company switched to Sophos recently from McAfee (thankfully, as McAffee always felt bloated to me). Sophos runs discreetly in the background, has a streamlined UI and is great for a business setting as it has web control that allows easy set up/maintenance. A straightforward, good product. A very straightforward, but strong software. It works very well for us. Our company needed a software that could be easily distributed, was cost effective, yet gave great security without bloating and hogging memory. This has delivered. I love it all. The complete ease of use. I mean you would not believe the amount of features you get with these products. Even the free home antivirus comes with an amazing dashboard and ransomware protection. I really can not list anything I love this tool. I mean I have been using it for roughly two years now. And so far I have not found one thing I dislike. You will wonder why you did not use it sooner. I mean that seriously. The products are just amazing. The antivirus is great and easy to manage. Plus the easy to view dashboard is awesome. You can quickly see the stats of all the systems. Firewalls are easy to configure. and even the stand alone scanner is simple to use and a great tool. "Great Product, not very "Open""
Advanced Intelligence to get zero day threats. Crypto Guard is a life saver. A lot of false positives - especially with the web protection. Nowhere to test websites for blocking or categorisation. Centrally managed Endpoint from the cloud. Mobile endpoints can be protected without VPNs. The best part of Sophos is the amount options to choose from to lock down certain users, for instance, locking down the computer from connecting to external devices (cd's, USB's). What I dislike about Sophos are the false positives. I can't really complain much about this since it doesn't do as much as some other endpoint software. Sophos maybe a little difficult to setup, but having all the different options to notify you about is pretty great to have when you need end users to adhere to the rules. The problem we were having is due to us needing to comply with hippa along with our own business rules, we needed a security endpoint that can block the usual malware, virus, spam etc, but also external devices like USB drives or cd. With a small IT team and a midsize organization. We were looking for a tool that'd be easy to manage, but still meaningful in protecting our users. We selected the Sophos cloud product from the Sophos Endpoint Security. So far we've had good success in preventing virus and malware infections on our users. The alerts are meaningful and we've been able to apply policy based rules on all our users, having a complete adoption. The learning curve is relatively easy. Our users relatively often switch workstation. When Sophos is installed it creates a new user with the machine. Merging users can become relatively tedious. Maybe this will be fixed when we hook it up to our IDM. Make sure to implement procedures for following up on alerts and read the documentation so you can react meaningfully. The best antivirus won't do you much good if you don't maintain it. We wanted a client that'd be easy to manage and where we could create differentiated policies for different user types. As we have relatively few resources, we were worried about getting a tool we wouldn't be able to manage proper and where following up on alerts would be tedious. Sophos solved our need in that regard. "Easy Integration, Updates can cause problems"
The software is easy to deploy out to computers in our environment and the monitoring is nice. Had an instance of a bad update that got deployed some years ago which could not be auto removed or rolled back. It cost our department alot of hours of overhead to go and touch each computer to remedy the issue. As with any mass software deployment across an enterprise always research and determine what your philosophy of use is going to be. This fit our use structure so that is why we went with it. If you need something smaller scale , under 1k computers you may need to look for something different. It is very easy to install the client on the users workstations. It is easy to track and manage installations. The client has a very small footprint. It would be nice if some if the alerts came with more information or error codes. Besides that Sophos works better on all levels than the other big name competitors we tried prior. Despite Sophos being easy to install and manage, you should spend some time going through the documentation and train your team in best practices. The apparent simplicity makes it easy to make assumptions. So it is important that you take the proper time to ensure you truly understand the features. We wanted lightweight and easy to manage antivirus and malware protection. It was really important for us that a small team with limited resources could manage and keep it up to date. Love the cloud management features - makes managing remote, off domain systems simple. Detection rate is solid, and false positive rate has been very low. CrypoGuard feature in Intercept-X has been very successful at blocking ransomware. Alerting is delayed and somewhat inconsistent. Endpoints require a reboot every update, and these seem to happen every 2 weeks or so. Per user licensing (rather than per device) gets challenging to stay on top of. Definitely worth consideration, but may not be the best fit, especially if you have the budget for othe rNext-Gen Antivirus. Managing remote endpoints that are off domain. Definitions are updated regularly, while Sophos as a whole maintain a terrific reputation in the industry - for good reason. Able to effectively squash threats in the initial phases, ensuring web threats don't penetrate our corporate infrastructure, compromising work being done. The odd malware item does still make its way through the protection, but all in all this is a common issue in the industry as malicious material is become more and more prevalent, with more difficulty identifying and protecting against the threats. This is to be expected though, as Sophos is doing an excellent job keeping their definitions up to par. Absolutely worth evaluating. So many providers out there, but Sophos is one of the few keeping up with the demand, providing a nice, polished UI, as well as constantly updated definitions. Anti-malware and avoiding web threats is a necessity when running a business. Ensuring threats are eliminated and general usage by internal employees is protected from an ever-growing online threat is part of the backbone of our online infrastructure. It is a great anti-virus tool that protects you from the threats of the Internet. It works great for administering restrictions to computers. We can group computers based on what area they are located and it makes management of computers very easy. There is not much that can be complained about. The control center could be a lot better in terms of details and options that is there to be selected and changed. Absolutely worth evaluating, the product has great features and fits well for any enterprise. We migrated from Trend Micro to Sophos about 5 years ago and protection has been great. Definitions are updated fairly regularly and Sophos as a company has a great reputation for security. The Enterprise console makes quick work of remediation of threats and shows crucial information on hand in a clear and concise manner. We are also using the Web Control portion of the product for a first line of defence against web threats. This has been invaluable and works well in tandem with the anti-virus portion. The security in layers approach really shines in this product. The product itself isn't completely bulletproof and sometimes lets some malware and ransomware through. Generally this happens with most anti-virus solutions as the malware is always one step ahead of the game and vendors haven't updated their definitions yet. We use another solution for remediation if something slips through Sophos, as well as extra user education. Support is excellent and has an Australian presence which is great in this day and age, and also a very positive selling point. Sophos Endpoint Security is cost effective and easy to manage for any business from SMB all the way up to Enterprise. We are using Sophos Cloud for one of our subsidiaries (which works great), and Enterprise Console for our main business. Updates are a breeze and the client has a small footprint on client machines which works well for us. This solution was also cheaper than the previous product we were using which has helped us realize some cost savings as well. I like that it's easy to manage. I barely have to do anything and the software runs on its own, making sure my Mac runs smoothly, efficiently, and with no weird pop ups or obstacles. Whenever I download something new on my laptop, Sophos scans it to ensure it is actually safe. It's nice having that piece of mind. I personally wouldn't mind a little more interaction with the software to see contained threats and progress made on my machine. Make sure to click on the icon to see if it is running. You can also manually control the scans to make sure you are doing this monthly. I have not run into any problems so far. However, I have definitely noticed my Mac running more smoothly, less freezing, since installation of the Sophos software. There is not much that I dislike. We have had some intermittent issues with Sophos endpoint protection but it is mostly end user device related. We are solving security concerns related to lost/stolen devices in the field. We ahve a large field base who do a lot of travel and it is reassuring to know that they are encrypted. PS - I am an active customer but am not uploading a screen shot of the console. If you need additional information to verity we use this product please email me at Erik.Beck@lewistree.com and I would be more than happy to provide information. Sophos is an outstanding corporate virus protection program. It is easy to maintain and deploy. You can even set up to push out from your Active Directory to ensure your employees have the latest version. I have no complainst about this software. Highly recommend this product to anyone looking for a change in the endpoint security. Our agency acquired a nasty virus back in July 2013. We were using another product then that did not stop the attack. We researched many options and finally concluded with Sophos. The results of the swtich have been nothing but great. Sophos has continue to get our agency same. I highly recommend this product for your organization. "Some good, some bad - still in the growing pains after 2 years"
The fact that their product is SaaS based, and a multi platform solution for OS X and Windows was the primary draw for us in 2013. At the time Sophos was the only option on the market that hit those two criteria. Their virus definitions on a good day will block/find most threats. Horrible QA for releasing new features. Their update servers are regularly crashing, or simply not accessible. Their endpoints will only update 75% of the time. Their Support Organization is horrible at responding in a timely fashion, they're poorly trained, and often respond with generic canned FAQ pages that are irrelivant to the issue. Their dashboard has regular outages. Their user management is simply not scalable. No means of bulk removing old devices/users from the dashboard. The results are disastrous over a long period of time - requiring a concerted effort on the part of the IT staff to simply maintain accurate reporting on current users. We gave up a long time ago trying to reconcile actual users and installations through the Sophos Dashboard due to duplicates or erroneous username/hostname reporting. Their automated email alerts to admins are inconsistent, often times not reporting threats, or missing days at a time. No option for catering what type of messages you want reported via email. It's all or nothing. They lack SAML admin controls for logging into the dashboard. There's no password rules (expiration, age, lockout, etc). They're a good product, and better than any of the other alternatives on the market for SaaS based multiplatform AV. I'd suggest giving them a look despite all the issues I've detailed in my review. At the end of the day if you can get Sophos on all your endpoints, you'll more than meet the AV requirements in your security stack. Their redeeming features are their AV definitions and extremely low percentage of false positive reporting. We're solving AV on multi platform devices using a SaaS based AV vendor. Once installed it is great and easy to manage from the online panel, as well as offering great protection from items such as malware. The install package can be problematic at times, Sophos stating there are known installer issues. Sometimes the blocking can be a bit overzealous with what it blocks and this can cause a few issues. Look to see if it is what is right for you. I would only recommend purchasing it if you are going to use all of the features as it can get very pricey. Device protection is the main purpose of Intercept X, the main benefit is that its cloud-based management so we are able to edit settings and manage devices on the fly. This software is available to everyone at the university I work for, for Free. Faculty, Students, and staff can install it on personal or work computers. I like how easy it is to install. How easy it is to direct people to the software to download. I don't have a virus, malware, etc. So it seems to be working. The Mac version you now have to register for an account. Which makes it more difficult for me to get users to install it since they don't want to register for an account. Some computers have struggled to update. I have had to go in and change the settings for how often it looks for updates. Or I have to manually trigger the updates. Make sure you know how you are going to deploy and know how to manage updates. Everyone needs virus software. It is a reality. But having one that is easy deployed on a large scale and easy to make available to its users to install on their own is very valuable. "Great Product - Great Support"
Sophos has continued to innovate and improve their product line over the years. We have never felt we made a wrong decision with our purchases. They have been able to grow with us and provide cost-effective upgrades to meet our needs. Honestly - there hasn't been much to dislike. They have a very comprehensive product. There is a lot of incompatible overlap between the Endpoint Security suite and their UTM Firewall offerings. Be careful not to over-buy, especially on the UTM side if you decide to buy both offerings. Sophos provides and excellent end-point security system for our bevy of Windows and Mac workstations. The Cloud based offering allows us easy monitoring and security when roaming outside the corporate offices. "No fuss anti-virus: issue and virus free." I have never had virus issues while running Sophos on my PC or Mac. Sophos uses a simple and streamlined UI design. Additionally, it does not host extra parasitic software that some other anti-virus software is known to do. There is nothing I dislike about Sophos now. On earlier iterations of the Mac OS X, Sophos would have trouble keeping itself up to date, but that issue seem to be corrected with El Capitan. This software does what it claims to do, in a streamlined fashion, without extra parasite software. By keeping my work computer virus and malware free, I can perform my job to the best of my ability with no worries about losing data or compromising security due to viruses and malware. The USB blocking and application control work great. They have some built in categories that make setup quicker. sophos verifies the information that enters in my computer converting it into secure information. It is very autonomous I would like to see the progress it makes while it works, the threats it blocks, etc. Computers must be clean and with all programs before applying Sophos. Since the installation of the product have been reported less problems. "Have used Sophos for three years"
Sophos is a one-stop shop for protection. Intercept X has stopped several crypto threats. The only thing I have found that is an issue with services not starting. Stopping the threat of crypto malware. "the new version of Sophos Anti-Virus"
Endpoint Protection product has several features.I really like it, It includes features that I use every day. functions as antivirus, Web Security and Malicious Traffic Detection are very important. this version has improved the prevention of infection, very useful to detect malicious content. It is a product that is not yet widespread. There are other brands that are more time in this market. in my opinion sophos must win the trust of consumer users. Sophos Cloud function is really incredible. it is useful to always have an updated protection.It is easy to use and works on all popular operating systems, especially it is well integrated in Microsoft operating systems. also the security of individual workstations is crucial. sophos endpoint security is the right choice. I recommend it for people who have no experience with computers. with this program it is possible to block the expansion of cryptolocker virus, for many of my clients it is very important to be able to block this virus. some of my customers are using with great satisfaction the sophos antivirus protection. the license price is competitive, very often in small business it is fundamental. "Quiet but effective antivirus system"
I think This is the best antivirus system I have ever dealt with. It’s very quiet, it does it’s scanning and cleaning without slowing down my computer. It is also very effective, and the ever since I had it I never had a viral infection to my system. I would really like it to be more affordable. Right now I am on the able to access it through my university employer. But I think it can spread widely if it was more affordable. It helps us as an antivirus, it is securing our patient data, and facilitate communication between different team members in the health system. This program has been rock solid since we implemented it over 7 years ago. We have maintained a virus free network because of Sophos. We only use the virus and malware protection however it offers so much more and can be great if you are looking for a single vendor to do alot of this type of work. Saving money on a necessary evil. No one like to pay for protection however if you are going to pay it should be for a product that works like this. "Does its jobs most of the time"
The enterprise console allows easy management and grouping of workstations. It can pull useful information off individual workstations and allow administrators to perform remote clean-ups or policy updates. Sophos' firewall application is an decent alternative solution to host-based firewalls. Installation of clients (when it works) is very simple and the software is generally capable of detecting malware. Almost all antivirus software are resource hogs and Sophos is no exception. We find that a lot of times, Sophos is to blame for performance issues on client workstations. Furthermore, while the enterprise console provides a good summary of its clients, often times the details are outdated and relies heavily on a well-organized IT infrastructure. For example, if the Sophos client is removed from a workstation, the object must be deleted manually from within the enterprise console or it will remain there forever. As you can imagine, in a large corporate environment with thousands of computers, this can be tedious to maintain. Test out this product t to see if it suits your needs before rolling-out to the mass. We use Sophos Endpoint Security as our corporate antivirus and malware prevention solution. Client workstations are managed from a central administration console, which streamlines security policies and update deployments. Although not actively in used in our environment, the alerts system may help identify zero-day vulnerabilities so affected workstations can be isolated. Ease of configuration was great. Managing the overall system was a lot more simple than other solutions I have used in the past. Maintenance seems to be just as straight forward, since we used the cloud model we didn't have to worry so much about revision updates and running a sandbox environment for testing. The web filtering seems to be a bit clunky, by default it blocked a lot more than I'd like. But to get it to work the way we wanted we had to very granular about sites and not just keywords. The overall cost seemed a bit high as well when it came to deploying company wide. As with all other products you plan on rolling out start with a small sample group so all your filtering can be fine tuned before it hits the masses. Easy to install, no annoying pop ups, etc. Seems to slow down older computers easily. We use Sophos as our current AV solution. * We monitor all Sophos Intercept X: Next-Gen Endpoint reviews to prevent fraudulent reviews and keep review quality high. We do not post reviews by company employees or direct competitors. Validated reviews require the user to submit a screenshot of the product containing their user ID, in order to verify a user is an actual user of the product. Hi there! Are you looking to implement a solution like Sophos Intercept X: Next-Gen Endpoint?